Disclosure: This How to make a website from scratch free at Wealthy Affiliate contains affiliate links. These make us earn some commission which enables us to continue running this blog and bring you useful information. Please continue if you are okay with that. You may also consult our Disclosure & Disclaimer page. The parts are based respectively on Affiliate Bootcamp course phase 1, lessons 3, 4, 5, 6, and 7 of 10. They are offered to all Wealthy Affiliate members. 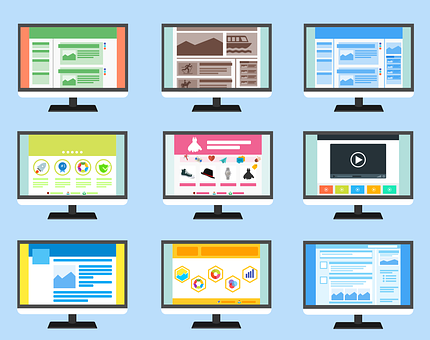 Your website is going to be the lifeblood of your business. This is where all of the traffic you’re going to drive is going to come to. It is where you are going to build your brand and trust within the industry. This is also the place you can promote products/services. It is where you’re going to generate revenue. But before you build your website you must know the people you’re going to entice to it. The ones who will consume your content. The people you’re going to advertise to and sell to. A word of advice: You’re going to create a website using the best tool to build a website: the SiteRubix website builder* available only at Wealthy Affiliate. N.B. : *But any other website creation software will also do. As you begin to create your website, don’t strive too hard about making it “perfect” the first time around. This doesn’t mean that you should be sloppy about it. Just a little supple, okay? When you begin to move forward, the pieces of the puzzle are going to fall into place. Besides, you’d have plenty of opportunities to revisit your website and adjust things. So let’s take a brand/audience idea and build out a website. Creating Your Website Shouldn’t Scare the Hell Out of You. It Should Excite You! For the person who isn’t “technically-inclined,” creating a website for your business may seem “terrifying.” But that shouldn’t be so at all. At Wealthy Affiliate, you have the best professional web design software, yet simplistic enough to be used by complete beginners. “We pride ourselves as a technology company … and we are the industry leaders in the website development space.” – Wealthy Affiliate. Click the SiteBuilder link within the menu, and you are going to be ready to rock. The truth of the assertion is in the experience. Therefore I’d rather you experienced the website builder and platform yourself. How long do you think it will take you to get a fully operational, revenue-generating WordPress website up and running online? At Wealthy Affiliate, less than 30 seconds! View the video below which will walk you through SiteRubix. To build your website, you must first access the SiteBuilder. But of course you can’t if you aren’t a Wealthy Affiliate member. Fortunately you can join for free. So, grab this free starter membership link to join Wealthy Affiliate and have access to the SiteBuilder. Now, sign into your free account and hit the light blue “Websites” button in the main menu as shown below. A new menu is going to show up, beside the old one. Now, click the green SiteBuilder link. It’s now time to surprise yourself. You have TWO options: to create a FREE website or to do so on your OWN domain. Your own domain is the best. But go for the free if that is what you want or can afford now. Or if you just want to try things out before deciding. You can change to your own domain later. If you are a Starter member at Wealthy Affiliate, you will build your website on the .siterubix.com domain. Moreover, you can build and host up to 2 FREE websites. As a premium member, you can build and host up to 50 websites: 25 free ones and another 25 on your own domains. You can “register” your own domain at Wealthy Affiliate through the SiteDomains platform. Or, do so wherever you want. With such a big number of websites, premium members can drive many multi-million dollar businesses over time. For demonstration purposes, we are going to do this training “On a free domain”. You have already chosen your “brand”. Now, you are going to be placing your brand name into the “domain name” field. N.B. : The domain we’re going to use as illustration is the example from Wealthy Affiliate. This is henceforth going to be your website URL as well as your brand. When you type in your domain, the builder will let you know if it is available or not. In the example above, it was. So you’re good to go. But should that not be the case, simply do another search until you find a domain name that is free. Your domain name may be an association of words, as in the above example: real deal affiliate. But you cannot put spaces in your domain name. That’s why the above domain is written “realdealaffiliate”. The design is the “look” for your theme. As a Starter member, you have access to 12 handpicked quality designs. But Premium members can choose from over 2,464 designs. These are referred to as “Themes”. You simply click on the design you like, and like magic, you are ready to create your website. It’s now time for you to know the many other website features within the SiteRubix menu. This will make you appreciate the wonderful benefits of using the SiteRubix platform. The powerful hosting available to you at Wealthy Affiliate has no match in the Managed WordPress hosting industry. This is Wealthy Affiliate’s affirmation. “We truly specialize here in providing a secure, robust and FAST platform for you to run your website. We know that your website IS your business, and it is important that you have the most advanced technology to keep your business operating at 100% at all times of the day.” – Wealthy Affiliate. Did you know that hackers, spammers, and all sorts of erroneous attacks are dangers to websites and a headache to website owners? Besides, are you aware that your website loading time is essential to avoid or reduce your bounce rate and ensure a good user experience? This time is 3 seconds at most. And it is good for your SEO. Not only do you have your website officially up and running online in lightning speed time, but it is also headache free. You haven’t joined Wealthy Affiliate yet? Before we go to the next section to reveal what goes on behind your website and how WordPress functions, wouldn’t it be nice to practice what you’ve learnt? So grab this starter membership link and join Wealthy Affiliate free to create your own website, also free. You can even build two free. I will wait for you while you do that. Okay, congrats for joining the program, and welcome back here. While time waits for nobody, slow can also be sure. Kyle, the co-founder of Wealthy Affiliate, said when he started out in 2002, it took him over 30 days just to get his first website up and running and live online. Do you see how far more technical and far “headachy” websites were back then? What took Kyle 30 days is what you’ve just achieved in 30 seconds or so. And you’ve a far “more beautiful” website. So I want you to bump out your chest and give yourself a bigup for being so awesome. You are doing great! You may even pour yourself a cup of champagne, wine, or even water (the best, I think). Now that your epinephrine level has gone down, can we go on with this lesson? Oh, wondering what epinephrine is? I didn’t know it too until now. So don’t go blushing! Like adrenaline, it is the hormone which regulates pulse and blood pressure. Here, you are going to learn all about the “back office” of your website. And also about how the different aspects of WordPress function. It is the framework on which you have just built your website. Maybe you’ve already used WordPress before. Maybe you’ve never. Don’t worry at all. You can quickly learn all about it. I also didn’t know anything about WordpPress when I started this blog back in 2015. My first affiliate marketing blog created two years earlier was on the free blogspot platform. Read all about my experiences with both platforms here. Now, just watch the video below. It is going to walk you through the “back office” (aka admin area, backend, admin dashboard, admin panel) of your website. It will also show you how to clean up the initial DUMMY content of your site. Welcome back. I hope you enjoyed the video. Compared to creating your website which you nevertheless found a breeze, the tasks here are all going to be very straightforward. First, you are going to be deleting “dummy” content, a gibberish” that is automatically installed with every website. This is content that you don’t need at all. Let me tell you an experience about the dummy content. Some years back, I had signed up expectantly for the blog course with blogging influencer John Chow. For days I stared at the dummy content, first, wondering what the hell it was. And then, how on earth I was going to do away with it. That scared me into inactivity. Finally I abandoned the course. Maybe the fault lies squarely with my newbie mentality at that time. An African proverb goes that every old person that you see has been young once. So, as you see, you’re not the only one struggling with these things. Every successful blogger and affiliate marketer has. If I’m talking about these things now, it shows how far I’ve come, doesn’t it? First, click the “Pages” tab. Now you are at your website Pages. They are either in draft or published mode. “Mouse over” the Sample Page link. A menu will pop up with a Trash link. The dummy Page is gone! It’s the turn of the dummy Post. Click the Posts tab, within the side menu. Mouse over the Hello World post. So it is with your website. It has been cleaned up and that makes it ready to receive your own Page’s and Post’s content. So, in the upcoming lessons you will learn how to create your own Page and Post and publish them. Believe me, the exciting part is about to start! This task is just for you to acquaint yourself and have a look around the “back office” area of your website. We said it’s a straightforward task, but like all things NEW, it can appear overwhelming at first. Remember your first day at school? It was like you were out of this world and on a strange planet. But very soon you felt comfortable. So take it from me that before long you are going to be very proficient with the website build process. You aren’t going to do much. All that concerns you in this task is have a look around the different tabs and areas of the admin area, okay? Concretely, we are going to be covering the various aspects of WordPress. And also how to use much of the tools in upcoming lessons. Before you can shout Eureka! you’ll be very proficient with WordPress. Task 3: Update Any Available Upgrades. Those of you who have used WordPress before know that updates come from time to time. In effect, WordPress is a rapidly evolving platform. So updates come quite frequently. They are sometimes feature improvements. Other times, they may be security updates. So, depending on when you undertake your ‘website install’, there may or may not be updates. Should there be updates, you will see them directly under the Dashboard side menu, right under the Updates link. In the case of the website from which this screenshot is taken, there are 4 updates. It could be WordPress version update, plugin updates, or theme updates. You simply click this button. It will take you to an overview of all updates. The image below shows that there is an update available of this version of WordPress. You simply click the “Update Now” button. This will walk you through the process of updating WordPress to the latest version. Below this, you may see other updates for plugins and themes. In our training case, there are two plugin updates. So, first check off the boxes. That’s all. The plugins are all updated! Your tasks have also come to an end. You see what fun “technology” can be? So, let’s go into Part III, another “technical area” with the same level of confidence, okay? Did you know that WordPress is the platform most widely used for managing websites in the world? According to W3Techs, WordPress powers 33.6% of all the websites on the Internet. That is more than 18 times its closest rival. Because WordPress is “open source.” Precisely, an open source platform for building and managing websites. This means the general public can utilize the code. This is what Wealthy Affiliate has done by developing “the most sophisticated and secure website platform in the industry” with SiteRubix. An Important Part of WordPress is Plugins. They are codes you can install on your website to enhance its features. Many features of WordPress can be improved. From social, through SEO, to e-Commerce, image optimization, etc. up to spam comments. That is why the over 49,000 different plugins allow you and your visitors to share your posts on social media like Facebook, Twitter, Pinterest, LinkedIn, etc. Others will make you sell your own products directly from your website. More others will reduce the size of your image so that your pages can load quickly, or stop spam comments which can damage your SEO. Short, there is a plugin for practically everything you want to do with your website. All these 49,000 plugins are available to all Wealthy Affiliate premium members. How Do You Install A Plugin On Your Website? How Do You Activate A Plugin On Your Website? How Do You Use A Plugin On Your Website? Task I: How Do You Install A Plugin On Your Website? Wealthy Affiliate has “pre-installed” two plugins on all websites built with the SiteRubix platform. Plugin #1: EWWW Image Optimizer: This plugin will reduce the size of images that you upload to your website. This makes them smaller so that they can load quicker. Thus your website becomes more efficient and runs faster. Consequently search engines will rank your websites better. Plugin #2: All in One SEO: You will use this plugin to manage your “meta” tags. They are important concerning how search engines display your content within the search engine results page, SERP. Containing other awesome features, this plugin is going to play a big role to your set up and structuring for search engines. This sub-section serves just to walk you through the activation and set-up process of the plugins. So in the video below KyIe walks you through the Plugins area of WordPress as well as how to get your initial plugins setup. Task 2: How Do You Activate A Plugin On Your Website? Your first task consists in ACTIVIATING the two plugins. It is only then that they can begin functioning on your website. To activate, first click the “Plugins” tab within your side menu in WordPress. The Plugins menu will open up. Then you can see all the plugins that you have installed on your website. Check off the two plugins. Now, click the Apply button. Some plugins need to be set up after having been activated. This is not the case of the EWWW plugin. It is automatically set up and ready to work upon activation. But the All in One SEO plugin needs a little more attention and that’s what we’re going to see below. You are making good progress with your website. All that you’ve been doing is important before you start adding content and, even before you delve into the “money-making” part of your business. Task 3: How Do You Use A Plugin On Your Website? Now, let’s move to the last but one part of our discussion. Unless you’ve been living under some rock in an obscure corner of the earth, you surely know about Google. Like billions of other people, you use Google for searching online for pretty much everything. Even to write this piece, apart from the main material which came from the Wealthy Affiliate bootcamp course, I did some research on Google. Since billions of people use Google to search for product reviews, to find solutions to problems, etc., your goal should be to get lots of rankings in Google and to do so for FREE. This is particularly important in the first 6-12 months of the creation of your website. In fact, you should endeavor to please the other search engines too. Yes, Bing, Yahoo!, MSN are also search engines. YouTube is even the second most important search engine after Google. Did you know that? Search Engine Optimization (SEO) is what will enable you obtain rankings in the search engines. Don’t worry too much about SEO now. You will very soon learn to use it to your advantage. Things like how you can leverage it to show up in Google search; how you can get traffic with it; and how you can generate a lot of revenue through it. Kyle has created a video below walking you through the fundamentals of a successful SEO-friendly website. You also learn how to set up your All in One SEO plugin. It is going to be the pillar for getting your website prepared for SEO. SEO is NOT The Secret Language of the Initiate. SEO shoots terror into the hearts of people. This is because they tend to overestimate it. Many online workers even believe there is MORE to SEO than we know. “Part of the problem is that there is so much misinformation online about SEO,” says Wealthy Affiliate. For those of you who know something about SEO, I can imagine your shocked looks. You don’t need backlinks?! 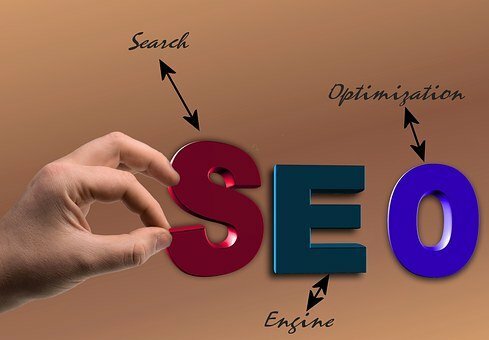 On the contrary, the training says that “there are a few basic components to SEO that are going to be our focus as we move you through the training. I am going to give you a quick overview of these, not to add to complexity or overwhelm you, but rather add simplicity. I think these words are reassuring enough for your epinephrine (again!) level to come down. The Incredible, Long Term Opportunity You Have With SEO. SEO is your partner for a long term durable traffic opportunity. 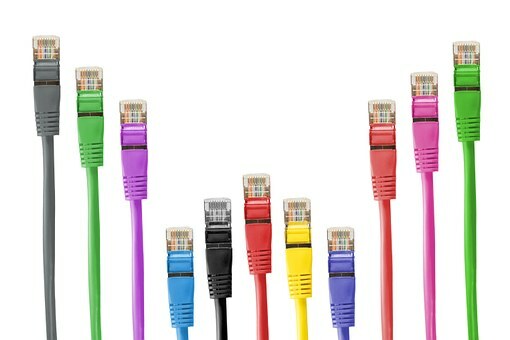 As more and more devices become connectible to the Internet, and as more and more people spend more and more time online, they are searching for more and more things at a much higher rate. The average person performs over 130 searches each month in Google. Google currently receives over 3.5 BILLION searches each day. That is traffic for YOU to leverage in your business. With 3.75 BILLION people active online, that is a lot of traffic you can tap into with “search terms” (keywords) that they enter into Google. Especially if you build trust through helping them, and then make a recommendation of products and services. With your Affiliate Bootcamp website, one of the programs that you will be recommending to this huge mass is Wealthy Affiliate. This can make you earn a great deal of income. You are going to be setting up your website for SEO success through the All in One SEO plugin. Essentially you will be updating the General Settings. Find the All in One SEO from the main menu or from the Plugins menu. This will bring you directly to the “Home Page Settings” section. This is where you are going to be adding your website title and description for search engines. This description will NOT be visible to your website visitors. But it will serve as the title and description of your website when it shows up in a Google search. Home Title: This is your brand name followed by some text to make it more captivating. You can easily change this any day. So keep what you come up with even if you are not 100% in love with it. Home Description: A brief description of what your website is about, who are you going to help out and how you plan on helping them. With over 15 years’ experience online, Real Deal Affiliate is a site dedicated to helping aspiring and already successful affiliate marketers online. After you have done this, scroll down to the Keyword Settings section. Tick off exactly as you see below. Scroll down the settings page until you see the blue “Update Options” button. Your website is now set-up for search engines like Google, Bing and Yahoo! **Note: You will see “Upgrade to Pro” with your All in One Plugin. You don’t need to do that. The free version is more than sufficient for your needs. Here comes the final part of this discussion. Did you know that Search engines like Google, Bing, MSN and Yahoo! are interested in only ONE thing: the most relevant content? That is why after preparing your website for SEO, you can secure a bright future for yourself online if you post relevant content. Wealthy Affiliate thinks otherwise. “You DO NOT have to be a writer to be successful online,” Kyle says. What then must you be? And if your communication puts the emphasis on helping people, you will build trust. This is what will lead to long term and sustainable success online. Wealthy Affiliate has a SiteContent platform. It is available to both Starter and Premium members. You can access the SiteContent platform through the Websites menu. Its incredible features will be of inestimable value to you as a blogger and lead to more efficiency, accuracy, and speed with your content creation. So, as a Wealthy Affiliate member, this is where you will be creating all of your content. It is also the place to set your writing goals and leverage the “feature rich” platform for writing. Are you worried about your writing skills? The SiteContent interface will help you understand where you are making writing errors. Then it will help you correct them in a very efficient manner. Curious about this writing tool exclusive to Wealthy Affiliate members? Okay. KyIe has created a little walk-through of it. It will show you around the platform and how to best benefit from it. Now, let’s go to your first task. You’ve seen this on every website you’ve visited, haven’t you? Why do all successful websites feature this? Building trust with your audience is the way to establish a brand online in any niche. And the best way to initially do this is through an “about me” page. The About Me is the information about a website’s brand, who they are and why they want to help people. Do you see its importance? That’s why your first task in this section is to create your “About Me” page. Obviously the SiteContent platform will be your tool to write this. Like anything Wealthy Affiliate, your Templates tab (as you see below) has the framework for your about Me page already outlined. All you have to do is click on the About Me template. It will take you into the SiteContent editor to create your content. He thinks it resonates and creates the most trust because it is the most direct. “It feels like I am here for you and I am here to help,” Kyle says. Now you have to populate the content. A word of caution: Use this template only as a guideline. Feel free to add new headings as you edit this post. Don’t forget: it’s your content and you are master of it and your story. Another thing. You are YOUR OWN brand. 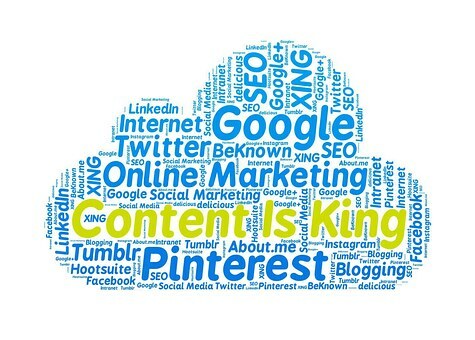 So build out your content in any way you want, using what you find here as a good guideline. After you are done, simply click the Publish button in the right corner, just above your editor. Your post will be published directly to your website (see below). But before that, you will get a pop-up asking you to choose how you want to publish the content. Step 2: Choose “Post” or “Page”. Choose “POST.” POSTS allow for comments. You would want people to leave comments and feedback on your “About Me” page. Note that every article you publish on your website will be done as a “Post” for the same reasons. Step 3: Choose the user. For a new site, you will likely only have an Admin user. Choose it. Step 4: Choose the URL plug. Leave it “as is”. But when begin to publish articles, you may need to remove stop words such as “a”, “the,” etc. You would note that when you click Publish, SiteContent will run a duplicate content check before publishing the content to your website. Your “About Me” page will certainly be 100% unique since you wrote it all yourself. It is sort of a formality and a standardized document. For this training, Kyle changed his to basketballskillsanddrills.siterubix.com. You don’t feel comfortable leaving your email at the moment? Don’t worry. You can provide it to people at a later date. Publish it as a Page. The reason is Pages don’t allow for comments. So log into the back office of your website (WordPress Admin area) through the SiteManager or through SiteContent. Check off the Robots Meta NOINDEX and the Robots Meta NOFOLLOW. This way the “About Me” page will not get indexed in Google. This is the time to set up the initial navigation on your website. There are default WordPress menus. But they function in very strange ways. This can be quite awkward. That is not good for user experience. This is why you must create a Custom Menu. Not only that. But also you must understand how to use them right from the outset of your business. One thing is sure. Navigation is going to be a critical element to your user experience. It will also ultimately affect your rankings (as Google ranks sites with proper navigation better). It is therefore in your interest to do this well. As you see, there are only a few simple steps to creating a custom menu. First, you must locate the Menu management section within your WordPress admin area. This is found under the Appearance, Menus sub heading. It will take you to the custom menu creator. You will see a Pages section, under the left tabs. Posts are not added to your navigation by default. You therefore need to click the Posts tab. It will show a list of your Posts. In this training we have only created the “About Me” page. Click the check box associated with that. Next, click the Add to Menu. Now you can reorganize your menu the way you like. Under Menu Settings, make the Display location, Main Menu. You just need to check this box. This will then put this menu as your main navigation at the top of your page. Click the “Save Menu” button and you are set. It’s all set to go conquer the world. Do you feel like being all set to go conquer the world too? Here’s the link to the Wealthy Affiliate starter membership. What’s your feeling about the website creation part, the website “Back Office” and WordPress Functionality side, the plugin aspect, the SEO section or the initial framework of content you’ve just finished reading? Leave them in the comments box below. Thank you.